Launched last year, the app Talkshow aimed to let people share their online conversations with anyone on earth, in real-time. Their motto was “texting in public” and early experiments included roundtable discussions featuring big-name hosts, journalists live-blogging events to their readers, and groups of comedians workshopping jokes out in the open. When the app launched on iOS, over 30,000 people downloaded and started using it the first day, thanks to Apple featuring it on the iTunes App Store. For the team of five that built it, this meant taking around-the-clock shifts, 24 hours a day, checking every new user that signed up, scanning every new topic started, and reviewing every image uploaded to the service, one at a time, using their own crude homebrewed tools. That administration work wasn’t scaling, so they began looking for other options and turned to Slack. The Talkshow team was already using Slack for their product decisions and technical discussions, so cofounder Greg Knauss decided to streamline their workflow and add their own custom, automated community management capabilities to Slack. They simplified how they monitor incoming shows, users, and images for anything that violated their terms or standards for decent community behavior. Every new show title was posted into the #admin channel, along with every new username that signed up, by using the incoming webhooks feature. Next, an #admin-images channel automatically copied every user-uploaded avatar and image added to a show thread for quick visual scanning. They could now review both potentially problematic topics and images inside Slack, from any desktop or mobile device. Then they went a bit further. They built a list of banned and problematic words, and checked all new usernames and topics against the lists. If anything matched the list, it was auto-hidden and sent a @here alert with a link to unhide in a single click if it was a false positive. To get a bird’s eye view of activity, they built an#admin-admin channel to keep a running log of every administrative action taken by one of their team. Any time someone reinstated a flagged show topic or had to ban a user, it would post in the channel showing which employee took what action for total transparency. 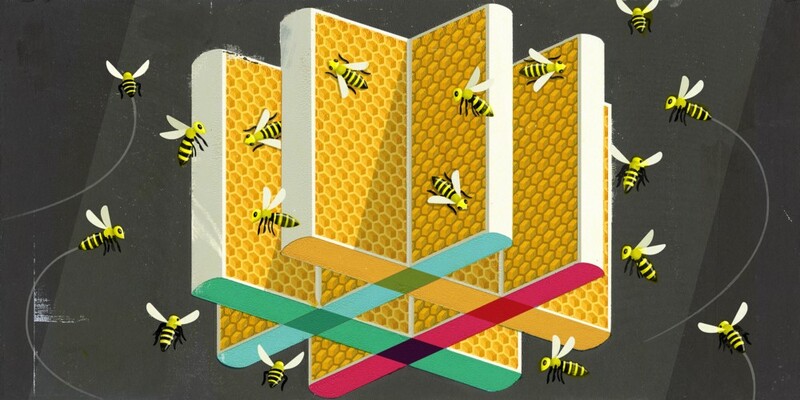 Using Slack’s message builder, they designed alerts to be brief, with deep links to one-click methods of removing or reinstating content, to make administration of Talkshow easier and faster. The Talkshow app was recently shuttered as the team retools to work on a new venture, but Knauss says they’ll apply what they learned over the past year about community management in Slack to future projects, and do even more. For example, instead of links to their custom web admin area to perform actions, they’ll use message buttons for direct commands. They’ll also automatically add reactions to mark items as “done” when someone takes action, making the admin channels easier to scan later on. If 10 or more transactions fail on your e-commerce site within a five-minute time span, send a @channel alert to #ops indicating there might be a problem with your credit card processor. If more than 20 comments are posted within 1 minute to your popular WordPress site, send an alert to your tech team to check for denial of service attacks and/or spambots. If your app receives no new member signups in 48 hours, send an alert into a support team channel asking them to make sure your sign-up flow is functioning properly. There are plenty of services out there to make sure your servers are up and alert you when they go down, but not every important activity indicator automatically trips alarms. Information that requires people to scan logs hours or days after something happened could instead become a custom automated alert inside Slack, saving everyone a lot of time and headaches. Matt Haughey managed communities for 15 years and would have loved this kind of functionality in his own Slack team.